provides a full and revealing interview where he talks about his latest single, Radio Caroline, and whether he has any direct listening experience with the legendary pirate station. I ask Chopek about future plans regarding material; which artists have been influential to him – he talks about the music scene in Memphis (where he is based). The songwriter looks ahead and reveals touring plans; which upcoming artists we should get behind; a couple of treasured memories from his career so far; the advice he would give new artists – he ends the interview with a rather unexpected, if memorable, song selection. Hello, Sam! I’m doing well, thanks. I spent most of last week getting settled after returning home from the first leg of my summer tour. (During the second half of June, I drove 4500 miles for eighteen days through ten states to play twenty-one shows in nineteen cities.) I’ll be home for July before heading out again in August. 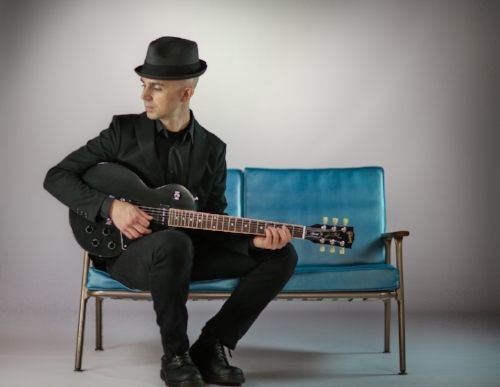 New Jersey native and Memphis resident, Stephen Chopek is currently on tour in support of his latest single, “Radio Caroline”. He's travelled the world as a drummer with some of today's top artists. 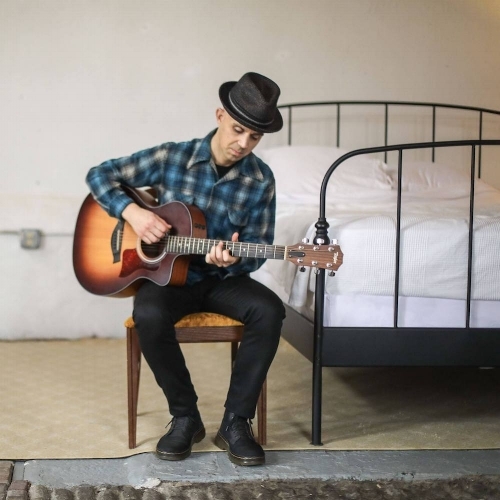 More recently, he's writing his own music which has been described as "a skillfully crafted tapestry of folk, roots, punk, and pop”. To fill in the blanks: I was born and raised in New Jersey and started playing the drums when I was nine. I played in bands, school groups and youth orchestras throughout grammar and high schools. In college, I performed with percussion ensembles and Rock bands. During that time, I also started writing and recording my own music on a four-track cassette recorder. After graduating university, I studied privately with Billy Martin (drummer from Medeski Martin & Wood) and Jazz percussionist Leon Parker. Through my studies with Leon, I was introduced to guitarist Charlie Hunter. That meeting led me to become the drummer in Charlie’s band from 2000-2002. After that gig, I toured with John Mayer for a year; then Marc Broussard, Jesse Malin; The Alternate Routes, Todd Carey; The Everymen, The Pimps of Joytime and many others. In 2008, I took a yearlong break from drumming for a volunteer position in New York City with Americorps (which is kind of like a domestic Peace Corps). During that time, my music pursuit switched from drums to guitar and vocals. I took guitar lessons, worked on my singing and wrote new songs. For most of 2009, I was busking in the N.Y.C. subways during the day and attending open mic events at night. It was a big learning curve to step out from behind the drums and onto center stage. I got back into drumming full-time in 2010 while continuing to write songs. See Through, my first solo album, was recorded and released in 2012. Playing local shows eventually led to out of town gigs and then solo tours along the east coast. Matters of the heart brought me to Memphis in 2014 and I’ve been here ever since. (My then-girlfriend and I got married in October 2017.) I keep busy in and around town playing drums with some of the many great artists currently making music in Memphis: John Paul Keith, Any LaVere; Motel Mirrors, Dave Cousar; Mike Doughty and Shannon McNally to name a few. In 2015, I released two E.P.s and my second album, Things Moving On Their Own Together, and supported that with U.S. tours throughout 2016. I released a third E.P. in 2017 (and more touring). 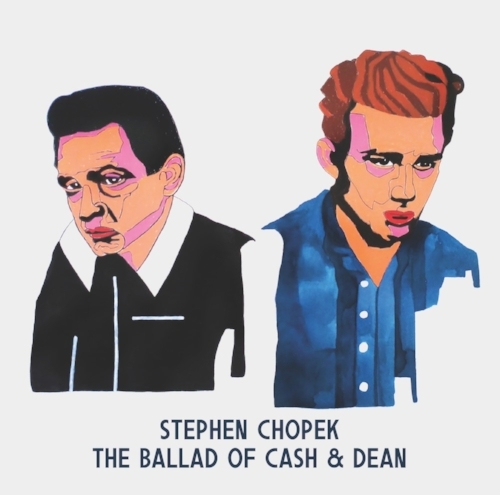 My new single, Radio Caroline - with The Ballad of Cash & Dean on side-B - was released online and on 45 R.P.M. vinyl in April. The new album will be out in the fall (with more touring). Radio Caroline is your latest track. Do you remember when Radio Caroline was on the air? Why did you decide to write about the pirate station? The original Radio Caroline was before my time so I don’t remember when it was on the air (but I listen to it now online). I’ve always loved music that came out of England in the early-1960s. Through learning about those bands, Radio Caroline was often mentioned as an important part of the music scene at that time. They were a U.K. pirate radio station founded in 1964 that broadcasted from a ship on the open waters to avoid the BBC’s control of the airwaves. They played records that no other station was spinning but that a lot of young people wanted to hear. It was music that eventually made its way to the masses and changed the world. I always appreciated their support of early Rock-and-Roll and admired their D.I.Y. ethos. My song is a humble tribute to their efforts and the impact they had. Do you think there will be more material coming along? What are you working on right now? There is definitely more material coming along. My new full-length album, Begin the Glimmer, is recorded, mixed and currently being mastered. The artwork is complete and the first single will be out soon; followed by the release in October. Memphis is where you are based. What is the city like in terms of inspiration and local talent? There are infinite sources of inspiration in Memphis. So much has happened here in terms of the creation and development of popular music. Howlin' Wolf, B.B. King; Ike Turner, Johnny Cash; Roy Orbison, Jerry Lee Lewis; Carl Perkins, Elvis Presley; Al Green, Booker T. & the M.G.’s; Big Star, The Oblivians; Lucero…and the list goes on. Music history in Memphis is deep and you can trace its roots with a short drive down south along the Mississippi River. 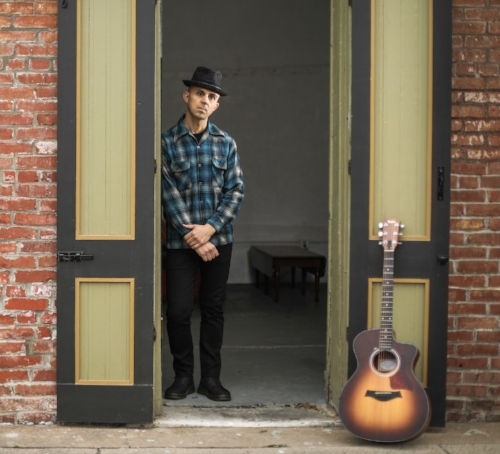 The current scene is also rich with incredible talent in many genres - Jazz, Blues; Country, Americana; Garage-Rock, Roots; Punk, Experimental; Metal, Singer-Songwriter and Hip-Hop. It’s a tight-knit community so there’s also a lot of collaborating. Memphis has a rawness that’s encouraging for artists of all levels to try different things and grow in new directions. How did music come into your life? Which artists did you bond with early on? Music came into my life through my parents’ records. There were a lot of American Songbook standards by Cole Porter, Irving Berlin; George and Ira Gershwin and Duke Ellington/Billy Strayhorn. Singers like Frank Sinatra, Ray Charles; Ella Fitzgerald, Johnny Hartman; Tony Bennet and Joe Williams. There were also contemporary albums by The Beatles, Billy Joel and Paul Simon. The ‘modern’ music was what initially resonated with me; along with my older sister’s collection of Joan Jett, Go-Go’s; Adam Ant, Duran Duran etc. My parents encouraged music lessons for my sister and I at an early age. My sister Claudia is now an in-demand violinist based in New York City. She’s been working with Moby, Hurray for the Riff Raff and Father John Misty. I tried different instruments before the drums chose me. I’ve been following them ever since and they’ve taken me to many incredible places with amazing people. You also work as John Mayer’s drummer. Is that experience something you bring into your own work? Absolutely. All of my previous work/play opportunities have been valuable learning experiences. Those lessons stay with me as I move on to each new phase of my career. I was on tour in April through the Midwest and along the East Coast in June. In August, I’ll be heading to Arkansas, Oklahoma; Kansas, Iowa; Minnesota, Wisconsin and Missouri. During October, I’ll be going through the South and back towards the East Coast. Might we see you in the U.K. at all? Radio Caroline D.J. Chris Pearson recently asked me the same question. I don’t have any plans at the moment for U. K. tour dates but I’m working on it. I’ll be sure to let you know when I’m on the way. My goals for 2018 are releasing new music and getting it out to the people. I make sure that my songs are available on the major online platforms and do my best to play live in as many cities as possible. It’s a one-man D.I.Y. operation right now so I’m doing all that I can in a 24-hour day. There are so many that it’s hard to choose: some are from long ago and others as current as earlier this year. The first one that comes to mind is when I was on my first tour and realized that I was making a living as a full-time musician. That was a powerful moment…. More recently, I was traveling through the Midwest and had an eleven-hour drive from one gig to the next. I played in Fargo, ND on Saturday night and had a gig in Appleton, WI the next day. That normally wouldn’t have been such a long drive except for the fact that I decided to take a detour to Hibbing, MN and see the childhood home of Robert Zimmerman (A.K.A. Bob Dylan). It was totally worth it. I spent a beautiful sunny Sunday morning in Hibbing then made it on time to my show in Appleton. It turned out to be one of the strongest performances of that tour (and the venue made me a vegan pizza for dinner). Opening for David Byrne would be fun. He’s such a unique and forward-thinking musician, visual artist and author. An all-around visionary. Truly inspiring. My ideal rider would include lots of healthy treats: raw fruits and veggies, hummus; almonds, dried figs and dates; sourdough bread, maybe extra dark chocolate (with no sugar). Non-alcoholic beverages: water, peppermint tea; green tea, chilled seltzer; oat milk for the cold brew coffee concentrate. Also, a towel. Perhaps some clean socks. Nag Champa incense would be icing on the cake. Remember it’s called ‘music business’ for a reason. ‘Music’ = study and practice your craft. ‘Business’ = enjoy the work because you'll be doing a lot of it. (Usually more business than music.) Be nice. Stay honest. My friend David Freeman recently released a beautiful album of original, instrumental compositions called Overview Effect. 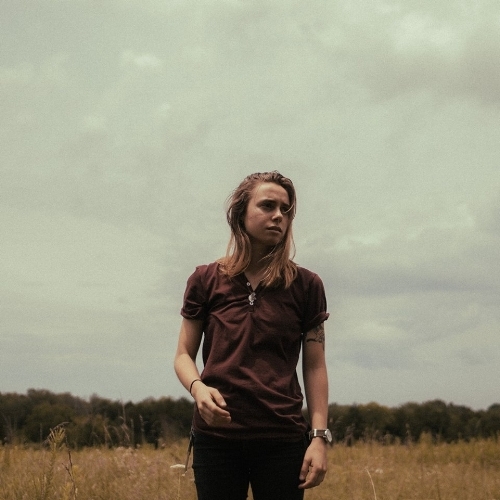 There’s a Memphis artist named Julien Baker who’s a fantastic songwriter, guitarist and singer. I like the new album from Snail Mail. Also, be sure to check out MonoNeon. When I’m on tour, I look at a map every day and find the big patch of green. I’m usually able to find a park reasonably close to the venue. With so much time spent driving and in cafes for office hours, it’s important to be active outdoors. That means walking/hiking when I’m on the road and bicycle rides when I’m at home. Daily exercise of any form is the key to overall well-being. I also maintain a daily Vipassana meditation practice which began in 2009 when I went to my first ten-day silent meditation retreat. I keep a vegan diet, so I’m always interested in trying new plant-based recipes. Visual art is also part of my exploration of the creative process. For a while, I was making collages from found objects and, recently, I’ve been getting into photography. The Banana Splits theme song.